Build to rent could play a key role in addressing Australia’s housing crisis; however, the tax system must adapt and more government incentives would need to be introduced to launch the model, according to industry experts speaking at DesignBUILD 2018. Prefabrication was also lauded as another solution to the housing affordability crisis due to its lower costs and construction time; however, changing the mindset of consumers is the biggest challenge faced by the industry in making this type of construction more mainstream in Australia. 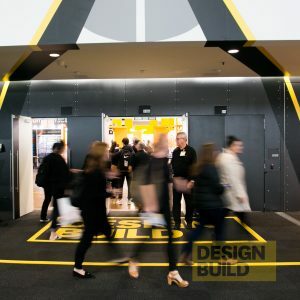 These were just some of the important topics discussed last week the 32nd annual DesignBUILD expo, which took place at the Melbourne Convention and Exhibition Centre. Consisting of a trade exhibition alongside two seminar and education programs, day one started off with discussion on the future of Australia’s building regulatory framework. The panel of experts, including Rodger Hills, executive officer at BPIC, discussed how the industry, government and consumer parties must all work together to improve understanding and effectiveness of regulation. Experts agreed that change is long overdue and that each practitioner and person must be accountable for their actions. Day two explored topics in innovation, with presentations on new products and materials leading change in global build and design solutions as well as insights into prefab construction, and whether it is a threat or an opportunity for building and construction. On day three, experts agreed that healthy buildings need to become central to future construction projects and good design is key to achieving positive outcomes on a global scale. Technologies such as air quality and other WELL requirements need to be an essential when creating new builds. Beyond the speaker sessions, a range of new products and service providers were on display, with fixtures, fittings, electricals and new home innovations. International exhibitors showcased innovations in bamboo while local supplier, Aircharge shared new ways to power electronic devices. Plant walls and interior décor ideas were also in abundance. DesignBUILD will be back next year on Tuesday 14 May to Thursday 16 May 2019 at the International Convention Centre Sydney, Darling Harbour.